Erin Blegen: My Scrap Cabin: C'est Magnifique teaming up with Creative Scrappers! C'est Magnifique: Final Reveal for August! 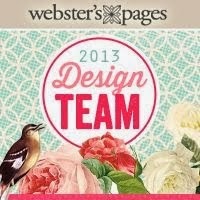 Webster's Pages & Get Creative! Lots going on @ C'est Magnifique!! 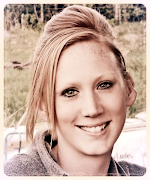 My final ScrapFIT post + Giveaway Winner!! C'est Magnifique August Sneak Peek!! I'm "In Love" w/ Webster's Pages!! 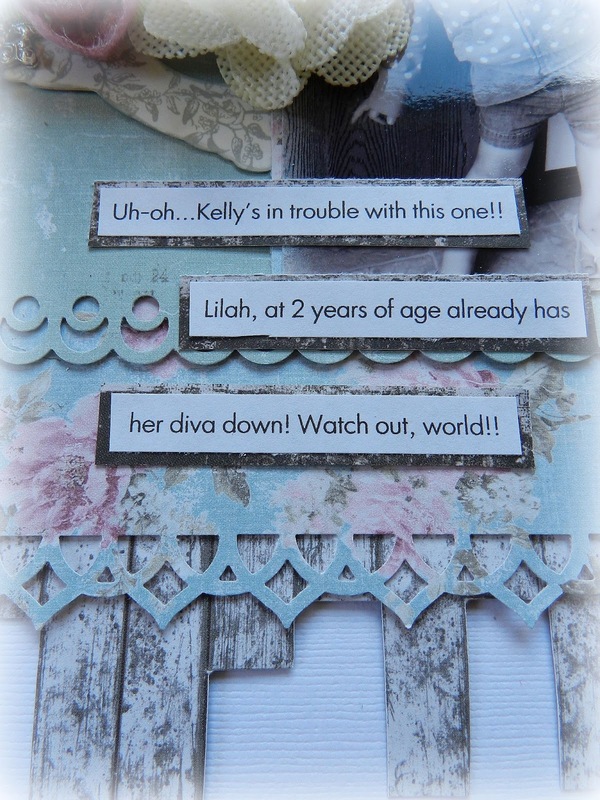 Guest Designer @ The Paper Mixing Bowl + a SNEAK! Scrap FX July Reveal #1 + GIVEAWAY!! C'est Magnifique: Bits & Pieces GIVEAWAY!! Guest Designer @ Scrap Africa! 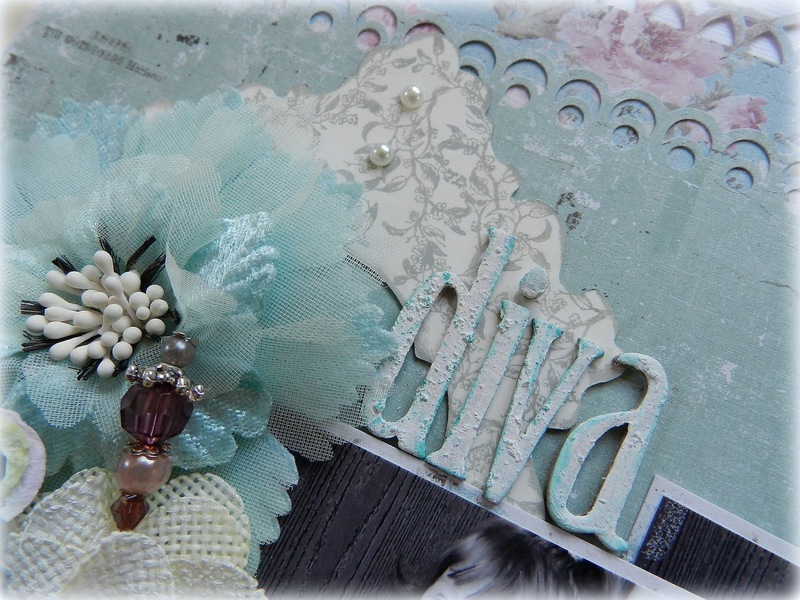 C'est Magnifique teaming up with Creative Scrappers! Good morning everyone :). This will be my last "real" post until early next week as we're heading off to visit my husband's family for the week. I will, however, have some scheduled posts going up (hopefully)- so I won't be completely gone :). But- since I have much to get ready yet, I'd better get to it! C'est Magnifique is sponsoring Creative Scrappers for Sketch #218, and we were asked to use the sketch for one of our projects this month using the beautiful August kit! I was very excited- just last month I wrapped up my term with Creative Scrappers, so I felt right at home working with the sketch :). Isn't my niece just way too cute?! Such attitude! 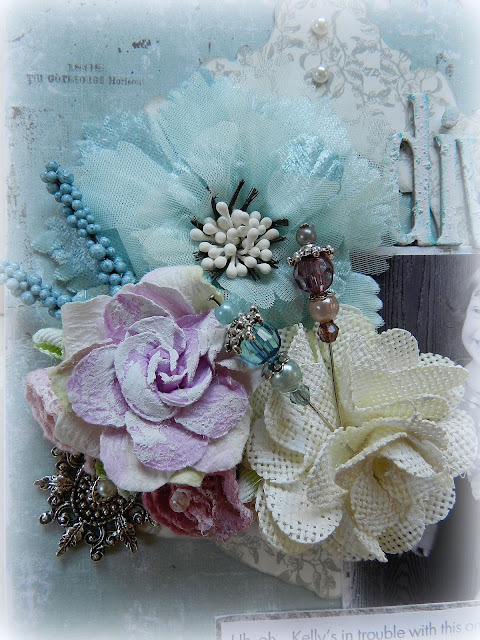 Some of the beautiful flowers in the August kit~ a mix from Manor House Creations, Prima, and Green Tara. 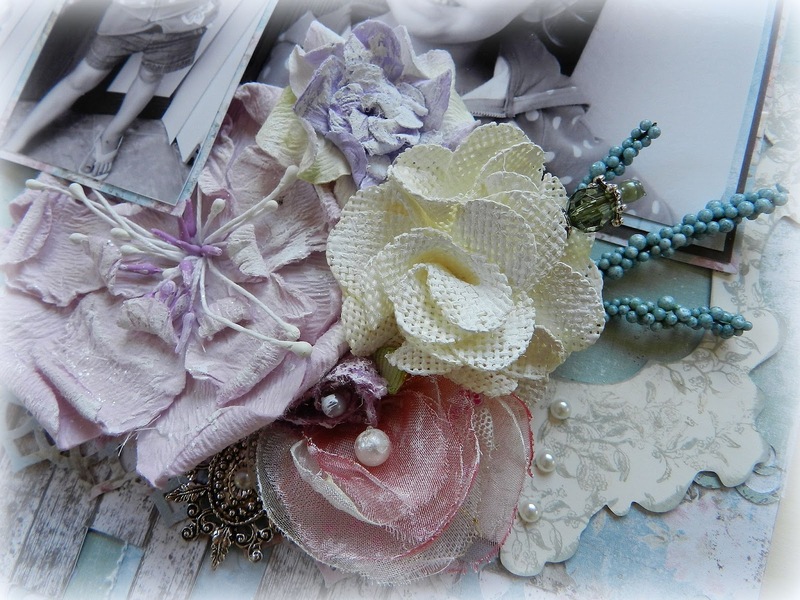 There are also some Petaloo sprigs, Prima pins, and Teresa Collins trinkets :). More pretty blooms. I took a trick that I learned on the Webster's blog recently: you can take a Webster's Pages Princess Petals flower (pink) and blast it with a heat gun to make the layers curl. Unfortunately I cannot remember who stumbled upon this idea, but I know it was one of the Webster's girls. I remembered it and tried it out here- love how it took the bloom from a flat piece to a curled, full one :). Layers and journaling. I love these two punches- I use them all the time! I've used one of the KaiserCraft frames, flipped it over, and stamped it to coordinate with the reset of my layout. Here I used another one of the frames, treating it the same way as the first. I hope you've enjoyed taking another peek at the August kit. It really is full of delicious patterns and colors~ you really don't want to miss out on this one! You can see how to join HERE. Or you can check out the August section in the C'est Magnifique store HERE. The full kit is not yet available, but some of the individual items are! And while you're there, take a look around- there's still some of the amazing new Manor House Creations flowers left- but they're selling out pretty quickly! And the new Glitz collections- have you seen them? I just got mine this weekend and they are even more amazing in person!! I just completed my first project using the Cashmere Dame line and it was SO easy to use...can't share it yet as it's for a DT project, but you'll be seeing it around the 1st of the month :). 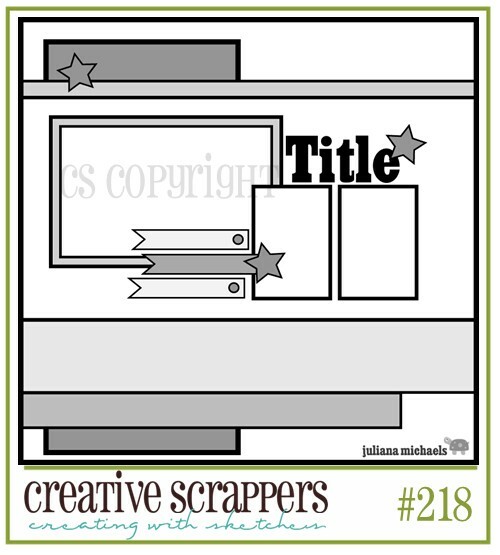 If you'd like to play along with this sketch, head on over to Creative Scrappers and link up your project HERE!! You will be eligible to win a special prize pack from C'est Magnifique!! I hope you all have a great week. I will have little or no computer access, but will get back to visiting you all when I get back. Take care! This is stunning! Love the black and white photos against the pastel palette! Such a beautiful layout. I love those Maja papers! How cute is that photo! It just puts a big ol' smile on your face! Little diva indeed...great take on the sketch with lots of little details to admire...beautiful work as always! 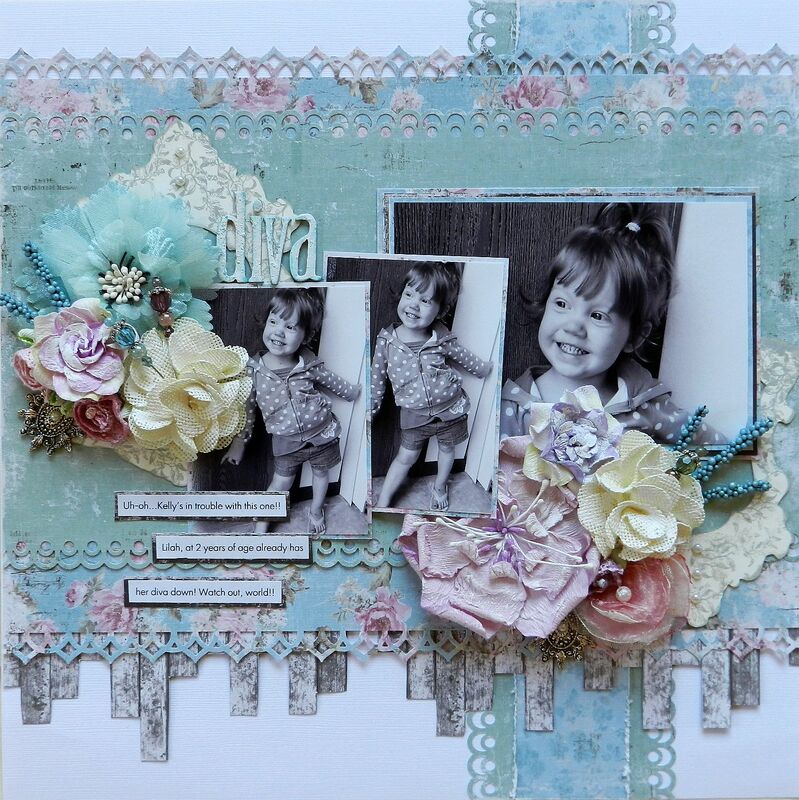 lovely layout Erin, Lilah looks like she's so full of fun and life, love the light blues in this and hope you have a fun trip to your inlaws! Gorgeous take on the sketch as always!!!! Yes, a gorgeous layout! Love the sweet photos! Adorable page, Erin!! Love how you switched up the photo orientation and those pics of Lilah are so cute!! Oh I had to smile as I read your journalling.. got her diva down.. and she is just so mega cute to boot!! and this layout.. well it looks stunning.. 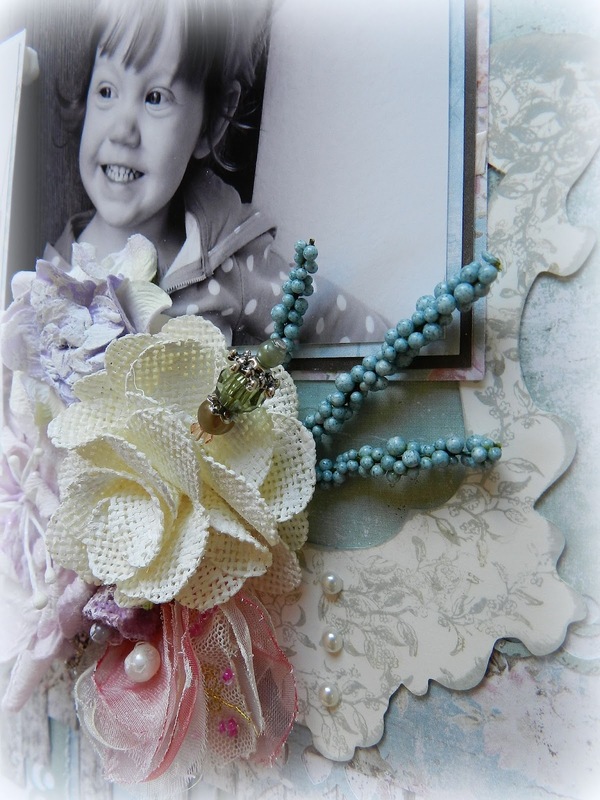 I love all the punched edges and the flowers are amazing.. love this one.. very cute!! Wonderful layout! Cutest ever!! Leila is adorable!! !